Vaughn Taylor was ranked 447th in the world and was hoping just to get exempt into the next week's event before his victory at Pebble Beach. Now he'll play in his hometown Masters. Vaughn Taylor's sleeping problem started the night of Sunday, Feb. 14. It turned into a waking problem the next day when he arrived at Riviera Country Club in Los Angeles and stepped into a flurry of backslaps, hugs and handshakes from people congratulating him for his out-of-nowhere victory at the AT&T Pro-Am at Pebble Beach. An odd sensation followed him onto the course. "I got over putts, and it was strange," he said recently, trying to describe the giddy-but-absent feeling that caused him to shoot 73--74 and miss the cut at the Northern Trust Open. "I said, 'Let's just go home and enjoy everything, take some time off.'" The waking problem faded. The sleeping problem, no. "He's still turning and tossing," Leot, his wife of four years, said in early March, watching her soft-spoken husband open the fridge at their home in Palm Beach Gardens, Fla. "I hear him get up in the morning." Insomnia is typically caused by depression, anxiety, medication or lack of exercise. Taylor's is fueled by euphoria. His brain plays and replays a five-hour loop from Pebble Beach: his birdies on 13 and 14, the fragrance of cypress and Monterey pine, draining the putt of his life on 16, the hovering seagulls, the crashing waves, the waiting, Phil Mickelson over his short birdie putt on 18, the grandstand gasp when the ball lipped out. "I remember so many details of that day," Taylor says. "I remember every shot, and everything is so clear, so great. I'm going to hold those memories forever." But what wakes him up is a recurring thought. "Yeah, I think about it every day," he says, smiling like a sweepstakes winner. The thought: Wow, I'm back on Tour. To appreciate the anomaly of Taylor's third PGA Tour win, one must, as the British say, "mind the gap." The interval between his second and third wins was 10½ years, and nothing had suggested he was gaining the form necessary to compete at the game's high level. The quiet Georgian had landed in California two days early, flu-ridden and exhausted from two profitless weeks playing in Latin America. He had only conditional Web.com tour status, hadn't held a PGA Tour card since 2012 and was 447th in the World Ranking. He carried a kickstand bag to avoid the airlines' weight penalties. In short, he was a Hollywood movie script waiting to be written. The young guns in the AT&T field probably saw Taylor as a 39-year-old has-been, but others remembered him for his consecutive wins at the Reno-Tahoe Open (2004 and '05), his selection to the '06 U.S. Ryder Cup team and his tie for 10th at the '07 Masters. So when Taylor rearranged golf's firmament with a final-round 65, his peers got teary-eyed. "It was quite amazing what he did at Pebble," says Matt Kuchar, who ended a seven-year winless stretch of his own by beating Taylor in a playoff at the '09 Turning Stone Resort Championship. "It was great to see a guy like Vaughn weather the storm." "I was ecstatic," says reigning British Open champ Zach Johnson, who roomed with Taylor on the Hooters tour in the early aughts. "Vaughn's a guy of high character who's just had a lot of bad luck and misfortune." Indeed, the Taylor story is one of niggling injuries and modest impediments. In 2007 he was hospitalized for vertigo caused by an allergic reaction to fescue rough at the AT&T Classic in Atlanta. The vertigo diagnosis was unsupported, but Taylor has battled sinus infections ever since. "Even today, my ears will ring and I lose my balance," he says. Nor were things much better from the nose down. Taylor's neck stiffened and ached. His right hip decided to settle six inches above his left. "My body got all out of whack," he recalls. "I didn't know what to do, so I just kept practicing and playing." That strategy frayed. Having won, on average, $1.5 million per year since 2004, Taylor tumbled from 35th to 116th in the '11 FedEx Cup standings, posting only two top 25 finishes in 27 starts. The following year was a bit better, but in '14 the bottom fell out. He won only $20,451 in three PGA Tour starts and less than a hundred grand more on the Web.com tour. "I struggled," he says. "It was the complete opposite direction I was hoping to go." Taking stock of the situation last year, Taylor picked out three flaws in his game. Number 1 was the softness of his 6-foot, 160-pound frame. ("After years of neglect, I had to get my core stronger.") Number 2 was a tendency to lose his posture during an otherwise graceful swing. ("I hoped the body part would fix the swing part, but it didn't entirely.") Number 3 was his sometimes shabby putting. ("In my really good years I was one of the best putters on Tour.") Fixing all three would be a daunting task, but not insuperable. "I could turn into the bitter victim and run myself into the ground," he says, "or I could persevere and work and dream of getting back on Tour." Taylor chose the latter course, and although he won't claim to have hit the trifecta, he says, "I can see a drastic improvement. I think guys noticed that I was playing better last year." What didn’t change was Taylor's string of bad luck. At one tournament his right foot began to hurt so much that he couldn't walk; doctors couldn't determine why. 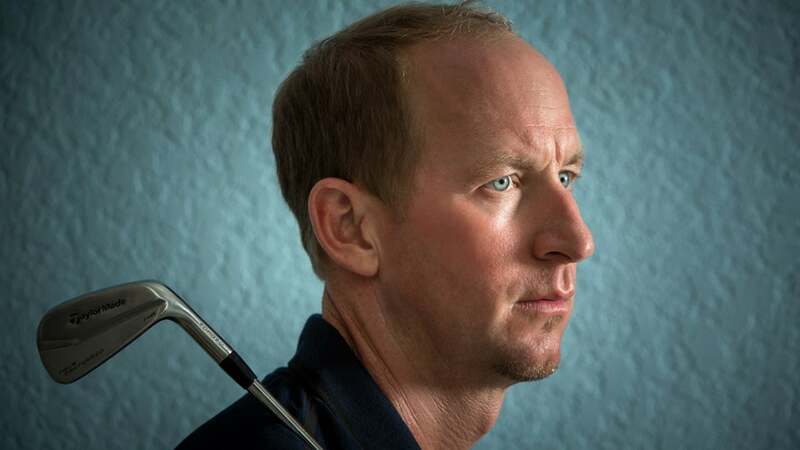 Near the end of the Web.com tour season, he cut his left thumb "exactly where you can't cut it." He fell three spots short of earning full status on that tour. Then he put a fishhook through his other thumb, sending him to the ER. But those were merely previews of unbecoming attractions. Taylor's aluminum boat capsized in rough water on the Savannah River, and he nearly drowned. His favorite driver of five years cracked and couldn't be fixed. He came down with the aforementioned stomach flu in Bogotá and wound up in an ambulance with an IV drip in his arm. "All these little things," he says, "were telling me I'm not supposed to be playing on Tour." And then Pebble happened. Three good rounds with amateur partner Gregg Ontiveros put Taylor in a tie for eighth and six off the overnight lead at the AT&T. On Sunday he decided to press for a top 10 finish, which would exempt him into the Northern Trust. But Sunday was different; or, rather, Taylor was different. "I had this amazing focus," he says. "I could feel a different energy inside me." On the 15th hole, Taylor's shot from the rough bumped Matt Jones's ball on the green and stopped within two feet of the hole. "That was the moment I thought something special was happening," he says. "Wow, maybe it is my day." Taylor drained a 30-footer on number 16 for his fourth straight birdie, catching CBS's eye with a Tom Watson--style celebratory lap around the green. But Mickelson, trying to end a winning drought of his own, was the real crowd-pleaser. He was, anyway, until he missed the tying five-footer on the final hole. (Gasp!) Behind the green, Leot, holding the couple's blond toddler, Locklyn, in her arms, began to sob. "That came from three years of being positive, of being Vaughn's cheerleader," she says. "All the tears I never cried, I think they just all came out." So he tosses and turns, this comeback man, trying to make sense of it all. He's thrilled to have his PGA Tour card back. He's buzzed about his first million-dollar-plus payday. But something else informs his insomnia: the Masters. Taylor grew up on Augusta's south side. He bicycled to Goshen Plantation Golf Club, a public course, and played collegiately at Augusta State. His parents live nearby in a house in Groveton that Vaughn built for them after his first Tour win. The pro's primary residence, meanwhile, is in Evans, just 15 minutes from Magnolia Lane. "Vaughn's heart is in Augusta," says Leot. "He's a Georgia boy. He's yes sir, no sir. He opens car doors. He's a Southern gentleman." Taylor, who turned 40 on March 9, hasn't played in the Masters since 2008, when he missed the cut. (In fact he hasn't played in a major since missing the cut at the '10 PGA.) He remembers being ridiculously nervous in his Masters debut of '06. "It was scary," he says. "On the 1st tee I was shaking." No surprise, he wasn't around for the weekend. He was more comfortable in '07, staying in contention through three rounds and walking up the final fairway, lined with clapping spectators, alongside his pal Johnson, that year's champion. "But I don't remember a lot of it," Taylor says, blaming the fog of competition. "It's definitely my goal this year to let everything sink in and let my family enjoy it." Asked to predict how he'll perform in his fourth Masters, Taylor responds with a smile and a shrug. "Whatever was going on on Sunday at Pebble—I want that again." Proving you don't have to sleep to dream.